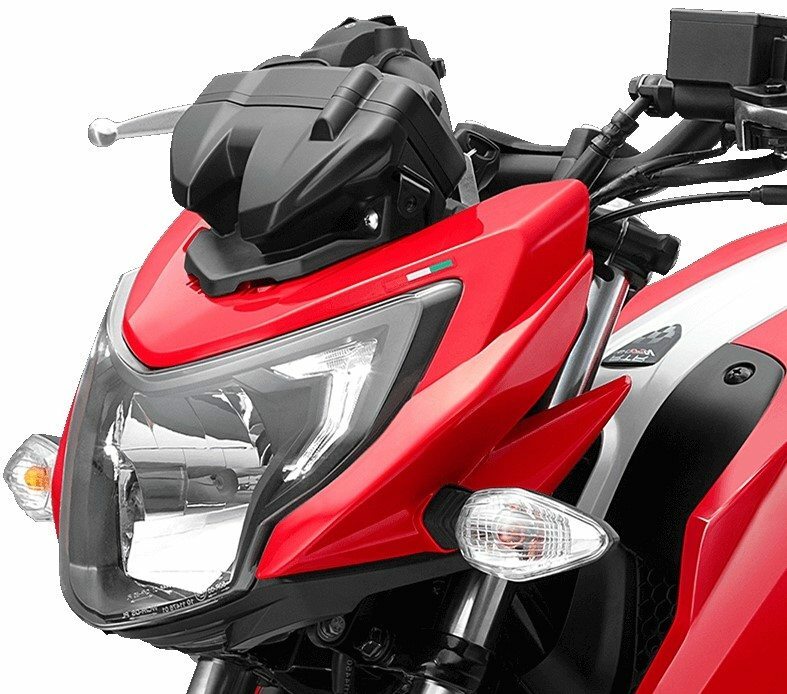 2019 TVS 2-Wheelers Price List in India: Established in 1978, the TVS Motor Company has been a pioneer in the two-wheeler segment in India. The company was established by T.V. Sundaram Iyengar and the first TVS manufacturing unit was set up in Tamil Nadu with the first ever offering from the brand being TVS 50, a two-wheeler moped. TVS Racing, the motorsport division of TVS motors, is the first ever Indian company that took part in the world’s dangerous Dakar Rally. The brand has 4 manufacturing units in total with the three being in India in Himachal Pradesh, Tamil Nadu, and Karnataka while the fourth manufacturing unit has been established in Indonesia. The TVS Sport commuter motorcycle is at present the cheapest offering from the brand priced at INR 40,088 (ex-showroom). 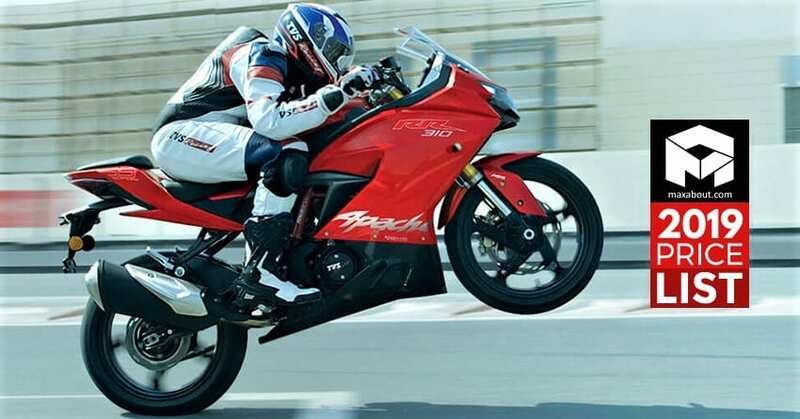 The price range goes all the way up to INR 2.23 lakh for the Apache RR 310. 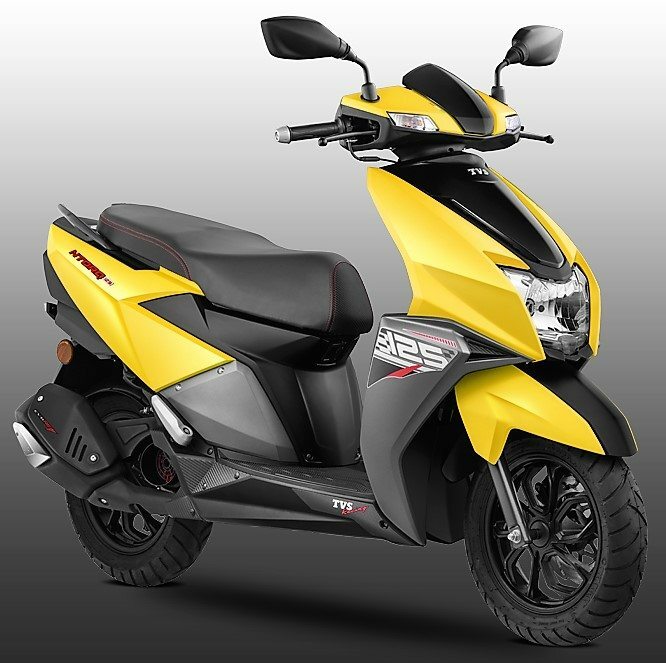 The other popular scooters and motorcycles in the portfolio include Ntorq 125, Apache range, Jupiter 110 and the Star City range. 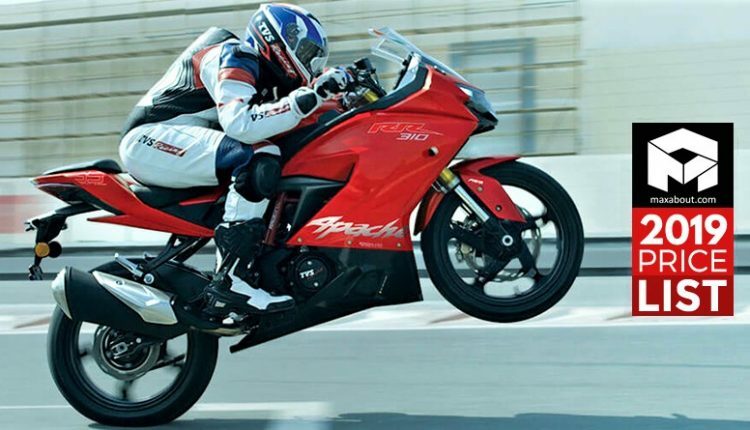 The brand competes in the market with the likes of Bajaj, Honda, Yamaha, Suzuki, Hero, and KTM, with the best offering Apache RR 310 directly competing against KTM RC 390. Here is the complete price list of 2019 TVS 2-Wheelers available in India.